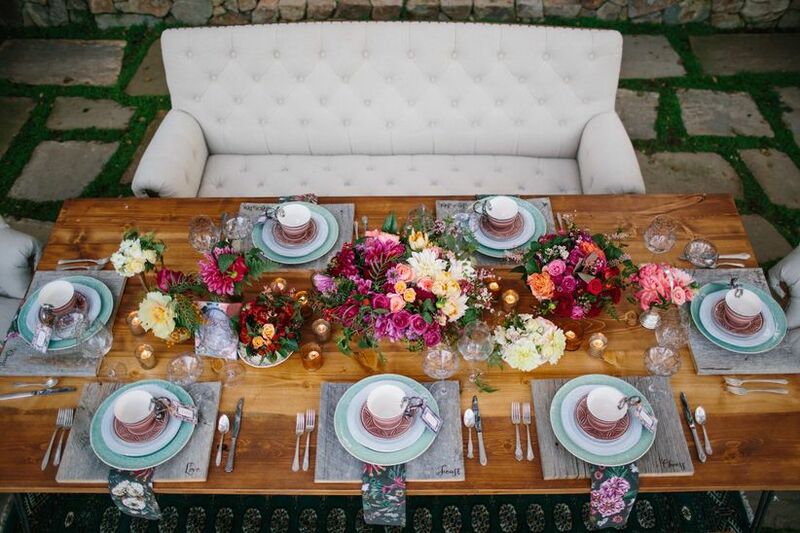 Read on for everything you need to know about a rehearsal dinner! When you get married, your actual wedding isn’t the only big event you’re likely to host or attend. One of the most important pre-wedding events is the rehearsal dinner, a time when your nearest and dearest come together to toast you (and roast you!) and finalize wedding-day details before the big event. Traditionally, a rehearsal dinner comes immediately after the wedding rehearsal, usually the night before the wedding itself. The dinner kicks off your wedding weekend and it offers your closest friends and family members a chance to bond and spend quality time with each other — and with you! — before the chaos of the big day. The rehearsal dinner should happen fairly close to your wedding day—most often the evening before. 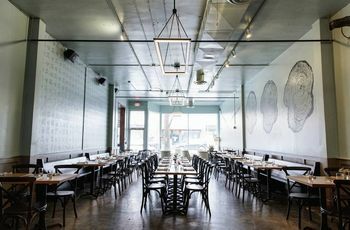 Book your rehearsal dinner venue (it’s often a restaurant but there are lots of venue options to choose from) at least three months prior to the event. Traditionally, parents, siblings, members of the wedding party (including their dates) and child attendants (with their adult guardians), your officiant, and anyone reading were the only ones invited to the rehearsal dinner. But these days, out-of-town guests and sometimes even the entire wedding guest list is invited—because hey, why not spend as much time as possible with the people you love? If you’re trying to keep costs down, though, stick with your small inner group—your other guests will understand. What do we do, besides eat dinner? This event offers an opportunity for anyone who wants to toast, or roast, the marrying couple to do so. Not everyone will have a chance to speak at the wedding—because hello, dance floor! —so let extended family and friends share a few words. These toasts can be more spontaneous than those given at the wedding, when the order of speakers is planned out in advance. You can also use this event to give gifts to your family members and wedding party, and offer reminders about the next day’s timeline. 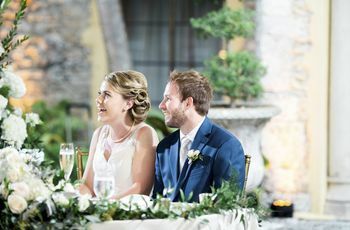 Traditionally, the groom’s family paid for the rehearsal dinner (because the bride’s family was expected to pay for the entire wedding) but these days many couples just split the costs along with their other wedding expenses. When should we send the invites? 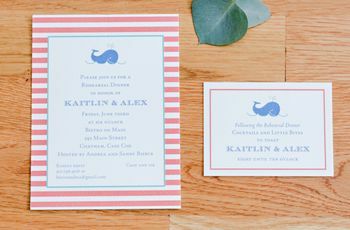 Send your rehearsal dinner invitations about four weeks before the dinner, but be sure the invitation is separate from your wedding invite It’s also okay to send a rehearsal dinner invitation via email. If your rehearsal dinner will follow your wedding rehearsal, choose a venue that’s nearby and easy for your guests to find. If your wedding rehearsal is happening on a different day, you have more flexibility. 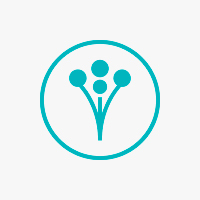 Host a BBQ, a beach picnic, or a pizza party at your favorite local spot! Popular rehearsal dinner options include favorite local restaurants, restaurants that hold some importance to the couple, or restaurants that showcase the local flavor of your wedding’s town or city. It does not! If the “dinner” will follow the wedding walk-through, then the party should be whenever the walk-through ends. 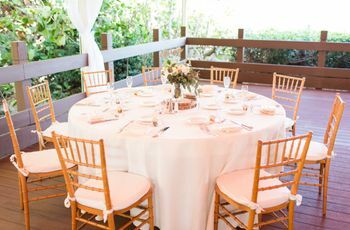 A rehearsal brunch, lunch, or even a cocktail party are solid options! And if you don’t want to have a sit-down meal, consider getting all of your friends and family to play a game of soccer or baseball together and then grabbing a drink or snack nearby afterwards. And if you’re hosting a more intimate rehearsal dinner with just immediate family members and close friends, you might choose to invite the rest of the gang (out-of-town guests, extended family, etc.) for a drink or dessert afterwards to allow everyone to mix and mingle before the wedding day!